velofix Announces 2017 Triathlon Team and “The Man” Dave Scott as Official Triathlon Coach. North America’s largest fleet of Mobile Bike Shops has added four Pro Triathletes and re-signed agreements with existing Triathlete Team for 2017. Read VELOFIX Bike Tune Gets Pez! HERE. velofix has expanded its growing Ambassador Team for 2017 signing agreements with 6X Ironman World Champion Dave Scott and Pro Triathletes Rachel McBride, Jenny Fletcher and Leanda Cave. velofix also re-signed agreements with Pro Triathletes Nathan Killam, Steph Corker, and Jeff Symonds. velofix offers a premium, convenient service for triathletes and cyclists. The velofix service offering works perfectly with the busy lives of triathletes who are stretched for time between work, life and intense training schedules. “Since our first Mobile Bike Shop was launched in 2013, Triathlons and Triathletes have been an integral part of our business and 4X Olympian and gold medal winner Simon Whitfield was our very first Ambassador. Triathletes have very busy lives, with family commitments, work and 3 sport training schedules. We are proud to ensure that they are able to use velofix services and have access to the best parts and accessories in order to maximize their time and to make sure their Bikes are always in training and race ready condition,” says CEO and Co-Founder Chris Guillemet. 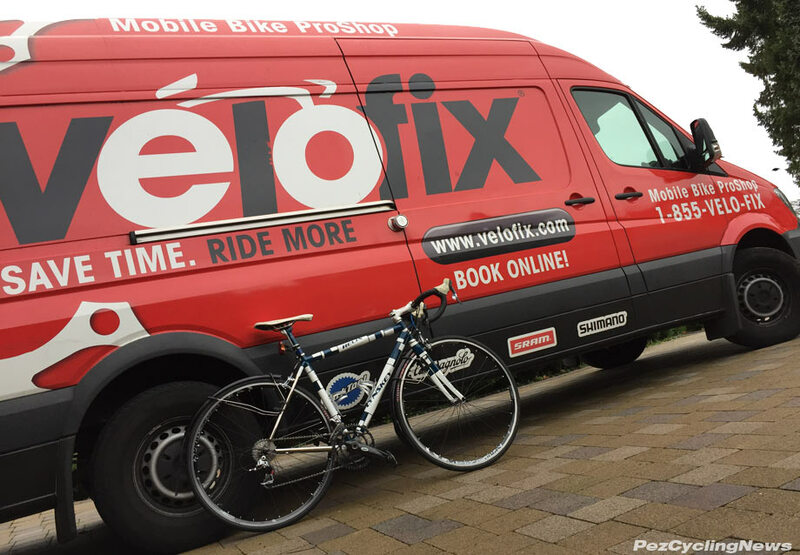 velofix is excited to announce the Team and proud to support their goals in 2017.
velofix Mobile Bike Shops provide professional mechanical services as well as all your Bike needs including Wheel Sets, Power Meters, Pedals, Aero Bars, Bike Computers and GU Nutrition. Featured in the New York Times and recognized on Entrepreneur Magazine’s rankings for Franchise 500, Fastest Growing Franchises and Top New Franchises of 2017. velofix has also been called, “one of the most impressive mobile franchises,” and velonews calls Mobile Bike Shops the #1 Industry Trend in 2017. velofix has also been featured on CBC’s Dragon’s Den (Canada’s version of Shark Tank), which resulted in Jim Treliving coming on board as an investor. Charles Chang of Lyra Growth Partners has also invested in velofix. Currently, 90 + Franchises have been sold in every major Canadian market and most major American markets. velofix has plans to expand to a total of 150 franchises across North America in 2017.